This is a belated post in the Interfaith Ramadan 2016 series. Articles are written by contributors from diverse faiths and none and are published every day throughout the month of Ramadan. The month of Ramadan has ended, and I’m thinking about the Qur’an, the holy book of the faith in which I was raised. There are copies of this book, in Arabic and English, on the shelf next to my other books. While I don’t consider myself a member of any organized religion, being raised in a religion with a holy text has influenced and continues to influence my life. I remember being a kid, learning to pronounce the Arabic words without knowing what they meant, and wanting very much to understand what they meant. I already loved to read, and it was important to me to know what I was reading. When I was a young child, I tried to read an English translation of the Qur’an that I still couldn’t understand, because it was an older translation. Years later, I was excited to find more recent translations and finally be able to read and understand this mysterious book that had been omnipresent in the background of my life. Partly due to this curiosity from a young age, I became fascinated with translations and their ability to improve communication. Essential to my desire to read translations is the desire to interpret the text for myself. Even when a book was originally written in a person’s native language, there are still differences of opinion. Not being able to read the text of the Qur’an meant that I was expected to believe what it said on faith, based on the opinions of others. It was one thing to have faith in God or to have faith and hope for the future of humanity; it was quite another thing to have faith that the very human people around me (with whom I disagreed on various things) should be my only source of information about what is, after all, a very important book to a great many people and to human civilization. Having seen how much people’s views can be influenced by words, both the words within religious texts and the words in other writing, I thought it was important for these texts to be available to more people in languages we understand. I still eagerly seek out books that were originally written in other languages and have been subsequently translated. From a secular perspective, regardless of one’s religious beliefs, there are many ways in which translation has affected society and our ability to communicate for the better. I’ve come to believe that translation is important for education and mutual understanding. There’s a lot of emphasis on what is different about us and demonization of the Other, but by hearing and reading the words of those whose languages may be different, maybe we can realize and remember how much we have in common. We learn about our fellow humans and learn new ideas, while also realizing that some ideas and feelings are so common that we will hear our own feeling repeated back in all the languages of the world. There are many people who’ve pointed out, for example, the similarities between different holy texts and analyzed various works of literature for common themes. We can read a book written by someone who lived hundreds or years ago or halfway around the world and realize that all of our experiences are part of the history of this Earth. Communication across language barriers and down the ages of humanity is what has allowed us to hear the voices of people with whom we are not able to communicate directly. It’s an amazing thing, to be able to understand words that were once indecipherable to us. Translation and communication across language barriers is a vital skill in our small world. It allows greater access to information, as we can share vital resources and information, discoveries in various academic disciplines, and even our hobbies with people who speak different languages. Resources and information on healthcare, housing, and other social services provided in the same language that is spoken by the patient can make it easier for people to get the care that they need. In so many situations, from everyday tasks to emergencies, being able to communicate with others and being able to understand information can make a huge difference. No matter what language we may speak, we are all humans. Cooperation between people of different religious beliefs and backgrounds to improve the world can be made easier if we make the effort to understand each other. No translation can ever be perfect, and that’s why multiple translations of classics line the shelves at libraries. Still, we gain the ability to understand, even partially, something which was once incomprehensible to us. There is always something lost in translation, but it allows us to find at least some of what we would have lost to the dust of history without it. E.A. 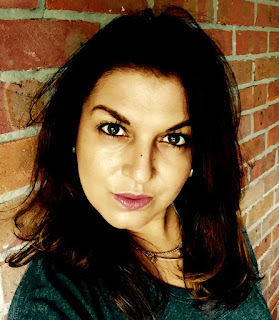 Sofia is a writer and fangirl who loves to write about books, social justice, and secularism. This is the twenty-first post in the Interfaith Ramadan 2016 series. Articles written by contributors from diverse faiths and none will published every day throughout the month of Ramadan. Another Ramadan soon draws to an end. We look for the moon and a date to signify the commencement of Ramadan. Now we look again for a moon and a date for Eid. 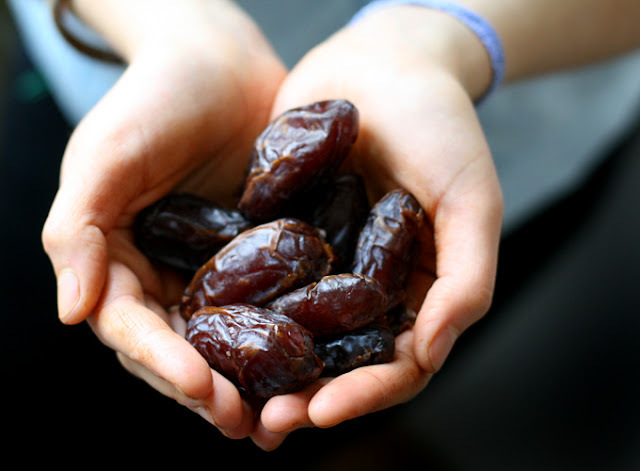 The other type of date of course, is the one we eat - especially during Ramadan. Why? Because it kick-starts the digestive process which has been on battery save all day. The initial rush of sugar offers both nourishment and comfort. Dates are nutritious and high in vitamins. The Quran mentions the date palm more than any other fruit bearing plant. The Prophet Muhammad (peace be upon him) frequently ate them and we all know the hadith about a house without dates is like a house with no food. I’ve even rubbed the gums of my newly born children with the fruit. I enjoy the onset of Ramadan. The build up to the month is full of spiritual promise, intentions and hope. A bit like the resolutions made at the beginning of a new year. But often by the time you get to the last ten days, eagerly searching for the ‘Night of Power’, it feels like bittersweet endurance. An exhausted sprint to the end of a race you never quite want to end. When I get to this stage, I have to ask myself if I’ve done enough. The answer is usually no. Ramadan has come and almost gone and here is the time again for some introspection. Like a bad school report, good effort but could do better. This Ramadan, amid the devotional fervour and well intended goals I went to five live concerts. In order, Coldplay, Guy Garvey, Wet Wet Wet, Beyonce and Burt Bacharach. Yes, I’ve opened my fast while watching bands and artists on stage. I take half a dozen dates wrapped in cling film into assorted venues and wait. Most bands take to the stage at around 8pm. This year sunset in the UK is around 9.25pm. So I wait. The first hour tends to go fairly quickly. Then I’m clock watching (something I never do at gigs) the last half an hour. It normally takes about 4 songs then I’m counting down minutes into seconds. Just once I would want the band or artist to stop and tell the audience that it’s time to eat. Have perhaps 30 seconds to acknowledge the fast. How incredible would that be? I would raise my date in thanks, read the dua and eat. It’s yet to happen but I’m hopeful. I uncover the cling film, salivating at the thought of the sugary, sweet goodness that will fill my being. I don't wish to encourage a game of ‘date trumps’ where we share the weirdest place one might break a fast but there have been moments where I have caught myself. Trust me when I tell you that after a day of fasting, the moment when you witness the change of day into night is set against the backdrop of live music is quite profound. Make no mistake, although the practising of my faith may have a lot to be desired, I love Islam. The Muslims around me both real and online nurture and provide me with serenity, critical philosophical thinking and a spiritual nourishment. My belief, my Eemaan (Imaan - faith, described by the prophet as "a knowledge in the heart, a voicing with the tongue, and an activity with the limbs") and all that it brings is unshakeable. Yet I have to reconcile and marry this month with my love of music. Please let’s not start a debate about how sinful it is, how it negates my faith. Or and dilutes my brain and every good deed I have ever done. Music has held me together for the best part of 40 years and I anticipate it staying with me to the end. Consequently what that means it that I go to a lot of concerts. Do I stop going to watch gigs during Ramadan? No. Should it? Again, don’t judge me. I’m only doing my best right now. The internet is rife with scary, hellfire and brimstone clad information from shouty religious types on what happens when your best isn’t good enough. The numerous blogs and videos answering questions about what to do if we haven’t read or memorised enough Quran or missed too many night prayers all pander to the inherent built in guilt-buttons that are activated with every watch and read. Ramadan is a full of composure and quietude. A month of calm, solemnity and reflection. But I also want to recognise that the day after Eid is also an opportunity to continue building. I don’t want to feel guilt or fear. I want to feel the love of Allah’s continued guidance and mercy. Anisa Subedar is a freelance journalist and radio producer for the BBC. She’s currently working on her first novel. This is the twentieth post in the Interfaith Ramadan 2016 series. Articles written by contributors from diverse faiths and none will published every day throughout the month of Ramadan. In the summer of 2015, Pope Francis called upon the world to join the global conversation on how to shape the future of our planet in a sustainable way. He did so through his encyclical letter Laudato Si’ (“Praise be to you”). In his appeal, the Pope refers to statements of his predecessors, as well as scripture and other religious sources. It is an impressive document that generated considerable impact in terms of press and responses within the Catholic church (articles, debates, conferences). In anticipation of the United Nations Climate Change Conference 2015 in Paris, various faith groups published declarations. For example, there was a Buddhist Climate Change Statement to World Leaders that urged world leaders to “recognize and address our universal responsibility to protect the web of life for the benefit of all, now and for the future.” The Hindu Declaration on Climate Change called on all Hindus to “expand our conception of dharma. We must consider the effects of our actions not just on ourselves and those humans around us, but also on all beings. We have a dharmic duty for each of us to do our part in ensuring that we have a functioning, abundant, and bountiful planet.” And from the Islamic Declaration on Global Climate Change: “We call on all groups to join us in collaboration, co-operation and friendly competition in this endeavour and we welcome the significant contributions taken by other faiths, as we can all be winners in this race”. Judgments of each other, whether based on the Vedas, the Quran or The God Delusion, become futile when you think about the final ruling Earth might have in store for all of us. If we want to postpone or even avoid humanity’s death penalty, we need to stop fighting each other for our (lack of) beliefs. In a way, you and I are foolishly staring at each other when we fight like that. We don’t clearly see what happens to the world around us. The moment you and I shift our gaze towards our common challenge, you and I immediately become a new alliance, a ‘new we’. Together we can face our problems. With scientific knowledge as our common ground and moral inspiration from various faiths and philosophies for transformation. We are the only way to keep the Earth Green & Colourful. Bart Mijland is a humanistic scholar, pluralistic thinker and works as a knowledge broker on matters of diversity and sustainable development. He is a contributor to Dutch interfaith/ -cultural platform Nieuwwij.nl. In addition he advises the Youth Council of COC, a leading LGBTQI organization in the Netherlands. Mijland previously wrote Holy Boat: Interfaith Pride for Interfaith Ramadan.